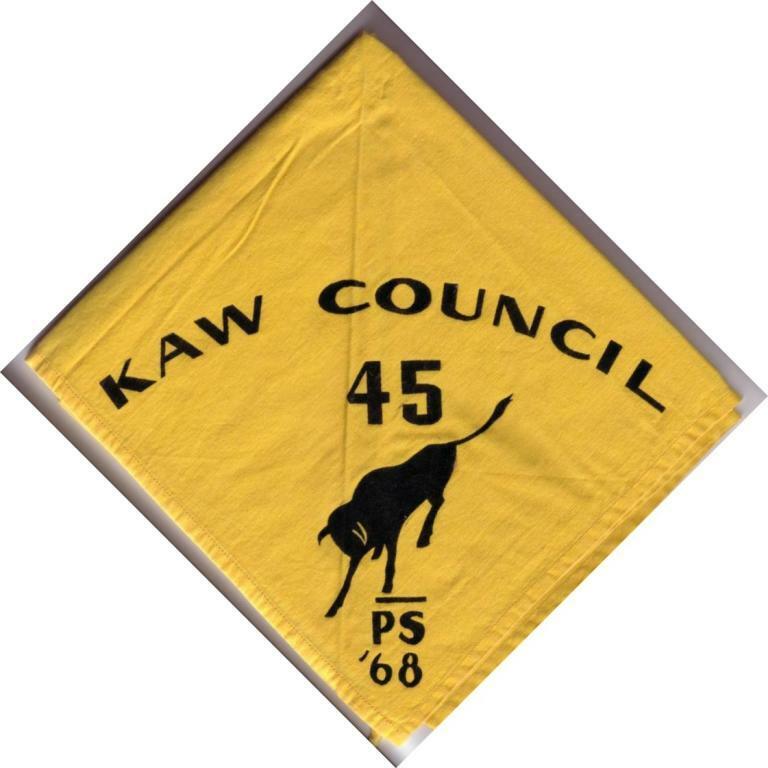 Here are a couple of interesting neckerchiefs from Kaw Council…the first is a 1968 Troop 45 neckerchief complete with Philmont bull design (thanks to Mike Berenson for letting me scan his neckerchief). The second neckerchief (thanks to Jody Tucker) is from what I believe to be a Camp Naish staff contingent to Philmont from 1962. As shown on the neckerchief, the “TN” brand of Camp Naish is shown next to the “PS” brand from Philmont. Several years ago I remember a reference to a Camp Staff contingent to Philmont from 1963 or so, but I haven’t been able to track it down. 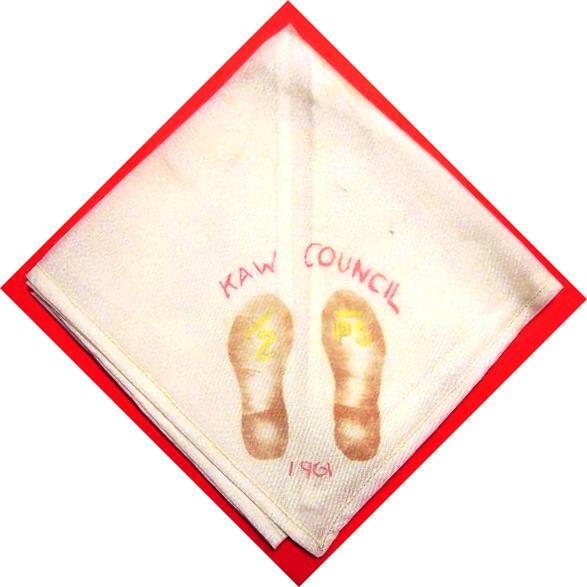 I am certain there are more contingent neckerchiefs out there from the Kansas City area…if you’ve got one, please send a scan my way and I’ll post it! 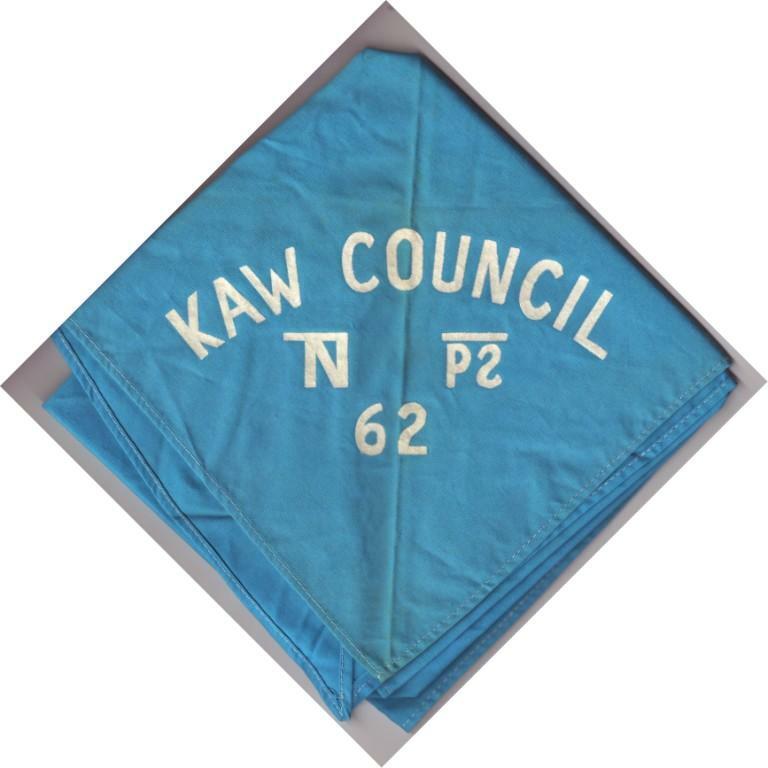 Mike Berenson just sent along the following scan of a 1961 Kaw Council Philmont neckerchief. The neckerchief is a little faded but the boots have the Philont brands on the soles in yellow ink. Thanks Mike! With thanks to Andy Dubill, I am pleased to offer for download a book titled, “The Patches of Camp Theodore Naish”. 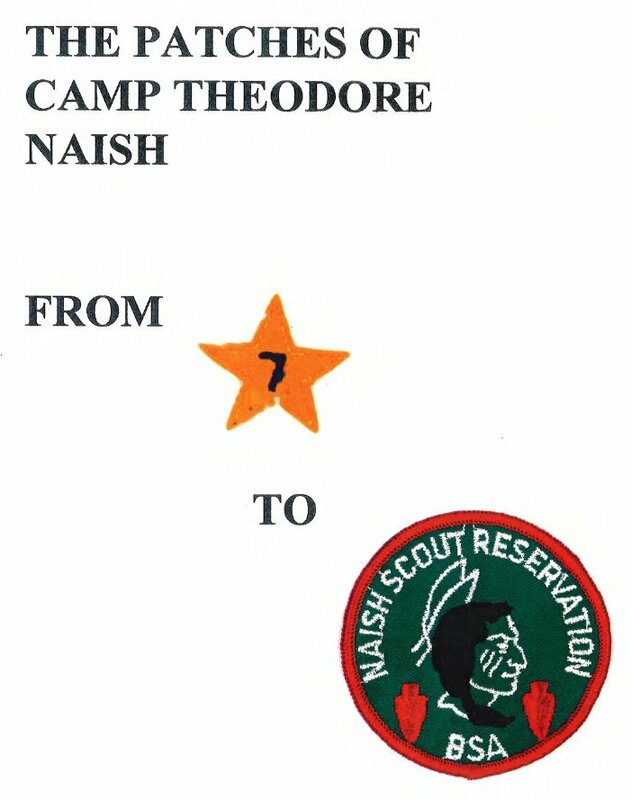 The book contains images of many of the patches issued for Camp Naish dating back to the early 1930s. It was put together in 1996 by several collectors in the Kansas City area. Since that time, several additional patches have been discovered, many of which are included here at Broad Kaw Valley. Nonetheless, it is a great resource for Camp Naish collectors/enthusiasts. If you have any additions for future editions of the book, Andy’s email address is included in the document.